Finding the best gaming keyboard can be surprisingly tricky when there are so many different types and models to choose from these days. 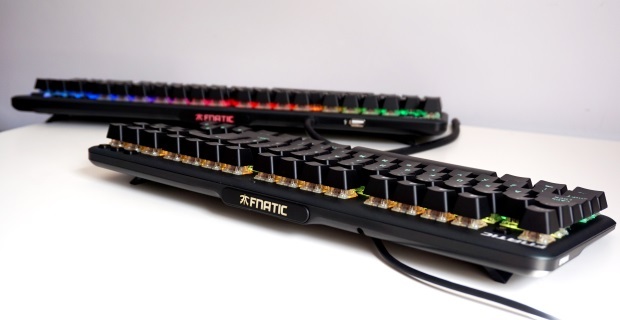 Not only have you got to decide whether you want a membrane gaming keyboard or a mechanical gaming keyboard, but the latter also involves several different types of switches that change how the keyboard feels under your fingers. 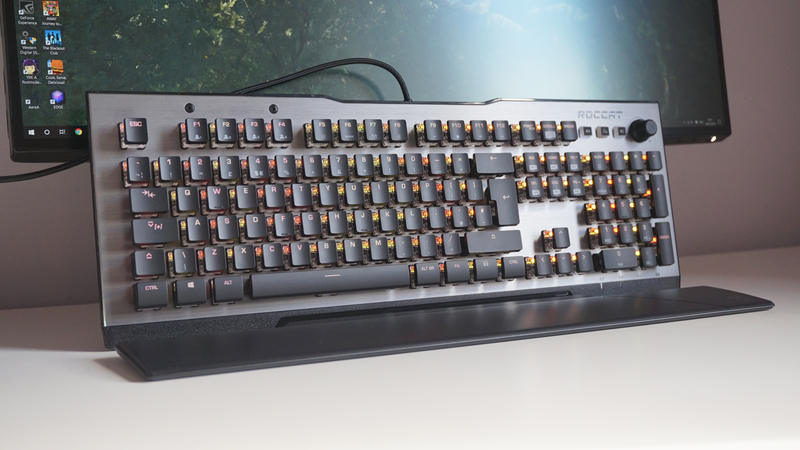 Fortunately, help is at hand in our best gaming keyboard guide. You’ll find everything here from the best membrane keyboards, the best mechanical keyboards, and the best gaming keyboards to buy for your living room if you fancy kicking back on the sofa instead of sitting up at a desk. Whatever your budget, we’ve got a best gaming keyboard recommendation for you. The Razer Cynosa Chroma is a little more expensive than your typical entry-level membrane keyboard, but in this case you can really feel where the extra money’s gone. Not only is it more responsive than your average membrane keyboard, but it’s also got some decent gaming features such as RGB lighting and a special game mode that disables the Windows key. You can also use it to record your own macros. It’s also one of the more tasteful-looking gaming keyboards on this list, with its plain black chassis largely free of obnoxious logos and corporate stylings. It doesn’t have as many extra bits and bobs as my best membrane runner-up below, the Roccat Horde Aimo, such as dedicated media keys or a fancy volume knob, but I know which one I’d rather have on my desk if given the choice. Since this is a membrane keyboard rather than a mechanical one, it’s also much quieter than practically every keyboard you’ll read about below. There’s a small trade-off here in that it’s probably not quite as responsive as the Horde Aimo, but it’s definitely a lot less grating on your ears. If you’re looking to upgrade your existing membrane keyboard without being forced to go full CLACK with a hybrid or mechanical keyboard, the Razer Cynosa Chroma is a great choice. 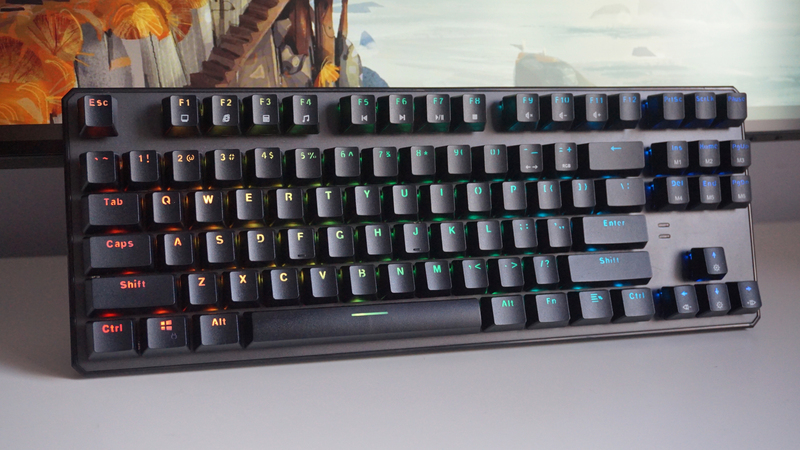 Read more in our Razer Cynosa Chroma review. Okay, so this technically isn’t quite a proper honest-to-goodness membrane keyboard, but it’s arguably the best type of membrane gaming keyboard you’re going to find. While the term ‘membranical’ is horrible and a crime against the English language, it does sort of capture what the Horde Aimo actually is – a halfway house between a full-blown CLACKY mechanical keyboard and a quieter, less ear-grating membrane keyboard. It’s not entirely silent, but it’s certainly a lot more sociable than any of the other mechanical keyboards on this list – namely, you can use it within ear shot of another human being with functioning ear lobes and not run the risk of having something thrown in the general direction of your head. Each key still offers a pleasing degree of precision and tactile feedback as well, and the subtle RGB lighting doesn’t get up in your face, either. What really separates the Horde Aimo from the rest, however, is that nice, chunky media bar along the top, complete with revolving volume knob. It’s a wonderfully tactile bit of design, and it can be used for all sorts of functions depending on which media key you press alongside it. It also has built-in support for Microsoft’s fancy Surface Dial peripheral. The only thing the Horde Aimo doesn’t have, unfortunately, is USB passthrough support. But hey, this is still a fine keyboard in its own right, and doesn’t demand too many of your hard-earned pounds/dollars, either. Read more in our Roccat Horde Aimo review. You’ll probably have heard of Fnatic from their esports endeavours rather than their hardware manufacturing chops, but the Streak (and by extension its accompanying compact, tenkeyless cousin, the miniStreak) is easily one the best mechanical keyboards I’ve ever used. Fnatic will rave about it being the world’s thinnest mechanical board, but really, it’s just a pleasure to use and comes with the comfiest wrist rest on the planet. Their respective designs are surprisingly tasteful for an esports company, too, featuring the bare minimum of logos and excess branding to keep everything nice and clean and not at all embarrassing to have on your desk. 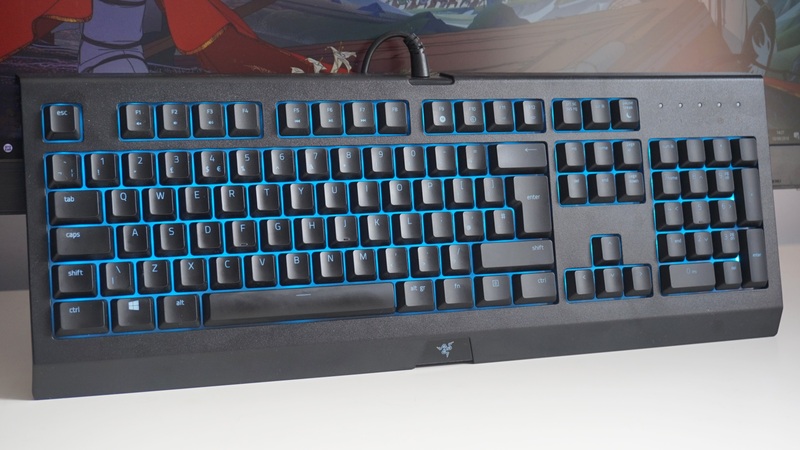 There are a few nods to the more esports-inclined among us, such as the removable magnetic RGB header plate on the very top of the keyboard you can see in the picture above (but not in everyday use because it’s facing away from you) that you can use to insert your own gamer tag platers and other such gubbins, but overall its smooth, rounded corners and plain, aluminium chassis are pretty inoffensive. The detachable wrist rest, though, is the Streak’s main attraction. Soft, plush and very easy on my old, weary bones, it can be lifted up and re-positioned into one of three grooves on its accompanying base, allowing you to pitch it as near to the keyboard as you like while still giving you the flexibility to have it a bit further away depending on the size of your hands. It’s immensely practical and a lot comfier than the hard plastic rests you tend to see on other mechanical keyboards, and just makes using the Streak feel like an absolute dream. Read more in our Fnatic Streak / miniStreak review. What’s this? Another best mechanical gaming keyboard winner? Yes indeed. While the Roccat Vulcan may not have quite as many features as the Fnatic Streak (USB passthrough being the biggest omission at this kind of price), it sure is wonderful to type and play games on. So much so that I’ve elevated it from runner-up status to full joint best mechanical gaming keyboard. A large part of that is down to the Roccat Vulcan’s fantastic Titan switches, which Roccat have developed in-house in partnership with TTC. At their core, they’re tactile switches that probably closest to Cherry’s MX Browns in feel, but their shorter actuation point (the bit where the keyboard registers a key has been pressed) and overall travel distance makes them feel lovely and fast and responsive at the same time, giving you the best of both worlds. It’s also beautifully made thanks to its sturdy aluminium chassis, and it comes in a variety of different models and feature sets, too. The top-end Vulcan 120 gets you a removable wrist rest and all the additional media keys and volume knob, while the middle sibling Vulcan 100 is exactly the same minus the wrist rest. 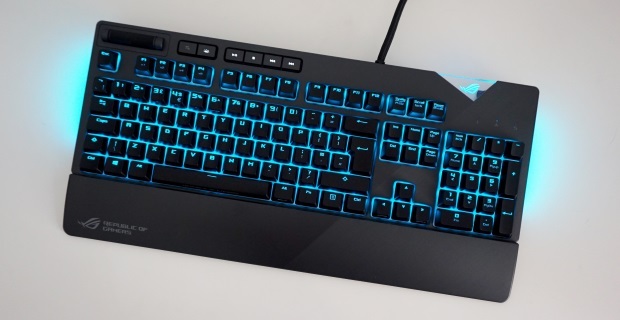 The entry-level Vulcan 80, meanwhile, is just the standard keyboard with a blue LED backlight instead of flashing RGBs. They’re all still quite expensive compared to other keyboards on this list, but in my eyes those Titan switches are well worth the extra expense. Read more in our Roccat Vulcan review. The red LED model of the HyperX Alloy Elite used to occupy this spot, but now that that seems to have been discontinued, the more upmarket RGB version is just too expensive to earn a place on this list next to the excellent Fnatic Streak and Roccat Vulcan. Instead, my new budget mechanical gaming keyboard recommendation is the Tecware Phantom RGB. Priced at under £50 / $50, the Phantom RGB is a great jumping in point for those of you unsure about whether mechanical gaming keyboards are really for you or not. There are a couple caveats buying a keyboard this cheap, which I explain in my review, but overall it’s well-built and easy to type on, and it even comes with a handful of replacement switches, too, which is pretty rare for such an inexpensive keyboard. I tested the tenkeyless model of the Phantom RGB, but it’s also available as a full-sized model for just a couple of dollars more ($50) in the US. I should note that UK buyers can also get the full-sized model over on Amazon, but at time of writing it’s only available at an inflated, import price, so I’d advise sticking to the tenkeyless model if possible. Still, if you’re looking to making the jump to a mechanical keyboard but don’t want to spend north of a hundred big ones on it, the Tecware Phantom RGB is a good jumping-in point. Read more in our Tecware Phantom RGB review. If your PC resides in your living room, then there’s no greater keyboard – or lapboard – than the Roccat Sova. It is, admittedly, quite big and bulky, but it has plenty of room for your mouse, and comes with two USB ports for connecting additional peripherals, whether it’s your mouse, USB headset or a controller. There are two different models available right now – the cheaper membrane edition which I reviewed and a more expensive mechanical version – but I found the membrane one was perfectly responsive for fast-paced games such as The Division 2, and it was great to type on for general web browsing, too. 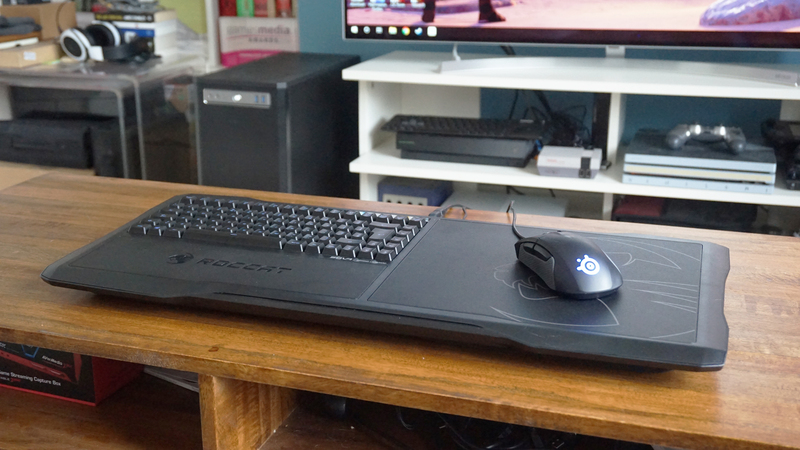 The Roccat Sova is exceedingly comfy to use, too. Despite its size, I was able to sit with it on my lap for hours and hours, regardless of whether I was sitting with my feet on the floor or cosied up with my legs crossed. It’s quite expensive compared to other membrane keyboards on this list, but there’s simply nothing better for playing PC games in the living room. 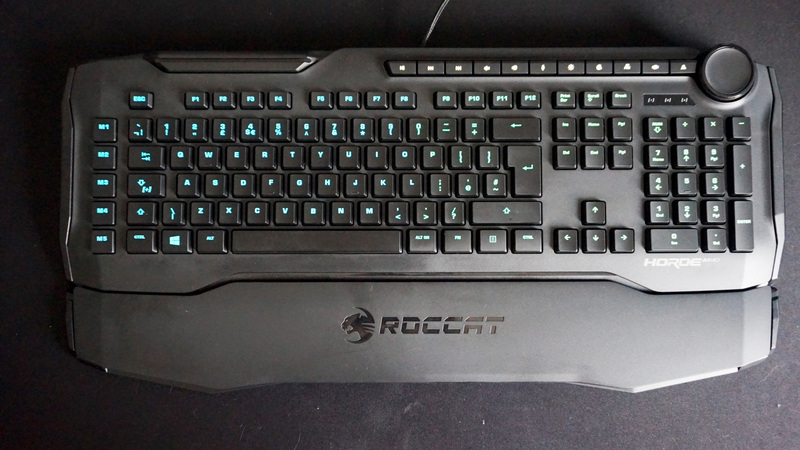 Read more in our Roccat Sova review. 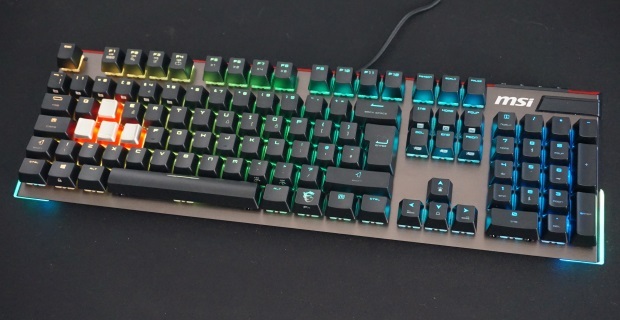 The MSI Vigor GK80 is a great mechanical keyboard in its own right, but one of its stand-out features is its highly customisable RGB lighting. You’ll need to download MSI’s corresponding Mystic Light software to make the most of it (much like any keyboard with RGB lighting), but MSI go one step further than most RGB keyboards out there, as you not only get a multitude of extra buttons to help configure it to your liking, but you also get specific RGB game modes for Overwatch, League of Legends and CS:GO. That’s in addition to its 14 separate RGB profiles that you can sync across all your compatible MSI peripherals and components. The dedicated soft-touch wrist rest is another highlight. Unlike other mechanical keyboards, this doesn’t attach to the main keyboard itself. Instead, you can place it wherever you like on your desk, its firm grippy underside keeping it in place at all times. This makes it much more flexible than most other keyboard wrist rests out there, but for me, the grooves on the Fnatic Streak still have the edge – if only because I don’t need to keep re-positioning it every time I need to move my keyboard. The GK80 is certainly one of the more expensive keyboards out there at the moment, but at least it comes with several extras to help justify the price. These include four metal caps for the WASD keys (you also get regular textured rubber ones as well), plus an extra space bar, back space, a further eight regular-sized key caps and two Ctrl/Alt-sized caps in case you ever need a replacement. Even better, you can pop them all inside the wrist rest for easy transportation to make sure they don’t get lost. Read more in our MSI Vigor GK80 review. Another rather tasteful take on both mechanical keyboards in general and RGB variations, the Asus ROG Strix Flare is another fantastic mechanical keyboard that’s worthy of your consideration. Its plain chassis cuts a fine, sophisticated profile on your desk, and its elegent, dual matt and brushed finished design that sheers diagonally down the right side of the keyboard helps give it a bit of personality that’s both refined and understated. It also doesn’t go overboard with its plentiful supply of RGB LEDs – of which there are plenty. Not only have you got them on the keys themselves, but there are also two strips underneath the keyboard as well as another couple shining out of the top, transparent cut-out that can be used for slotting in 3D-printed gamer tags or the bundled plastic ROG logo (as shown above). Again, you’ll need to download Asus’ Armory software to start customising the ROG Strix Flare down to a per-key lighting level, but you get plenty of options once you do so. The underglow strips are also surprisingly subdued for those who prefer a more subtle approach to their rainbow-coloured light shows, and I didn’t find them particularly distracting when playing games either. Read more in our Asus ROG Strix Flare review. It sounds obvious, but I usually spend a decent amount of time typing on each keyboard that comes in before I start writing my review. I also usually type said review on the keyboard in question. This gives me a good idea of how noisy it is on an everyday basis, as well as what it feels like to use for long periods of time. I also test it by playing various games. Monster Hunter: World will be a prime test case going forward, as that’s very demanding on the old keyboard and mouse front, and I also usually run through a level of Doom as well to see how it handles fast-paced action. The first thing you need to know about buying a new gaming keyboard is whether you want a mechanical one or a membrane one. Generally, a lot of people who play PC games prefer mechanical keyboards due to their sharp, clean movements and short, fast actuation points (when the keyboard actually registers you’ve pressed down a key). Personally, I couldn’t give two hoots about whether I use a mechanical keyboard or a slightly spongier membrane one. I’ve liked and used both types of keyboard without much complaint, and as long as I can type well enough on it, that’s good enough for me. Each type of keyboard has its own ups and downs. Membrane keyboards are usually a lot cheaper than their mechanical counterparts because they’re made from less expensive materials, but this in turn makes them more prone to breaking and are generally a bit of a pain to fix. Given their low price, the solution nine times out of ten is just to buy a new one. Mechanical keyboards, on the other hand, are generally a lot more expensive – with most demanding at least £80/$100, if not significantly more – but they’re also more durable and – in theory – easier to repair as you often only need to replace the faulty switch rather than chuck the entire thing in the bin. This can be a fiddly process, though, so it’s probably better to take it to your local electronics shop if you have one nearby rather than trying to do it yourself. Mechanical keyboards are, however, a heck of a lot noisier than membrane keyboards, and the loud CLACKEDY CLACK sound they make means they’re a bit anti-social for shared living spaces. Instead, they’re generally best suited to bedrooms and places where you’re the only person within earshot. The reason for this is because each key on a mechanical keyboard has its own individual spring-loaded switch underneath it. Some are clackier than others depending on what type of switch you go for, but more on that in a minute. Membrane keys, meanwhile, are comprised of several small domes on a single layer of plastic – a bit like bubble wrap. Naturally, this deadens any excess sound they might make, and tend to be much easier on the ears. Now I’ve used many a membrane keyboard over the years and found them perfectly suitable for games that don’t require mad esports reflexes. They can, however, feel a little unresponsive at times when you’re pressing lots of keys together, and often require you to press each key all the way down in order for it to register – which isn’t the case if you go mechanical. This is obviously something I take into consideration when reviewing a membrane keyboard, and you’ll only find the best and most responsive ones appearing on this list. What’s the difference between red, blue and brown switches? If you do opt for a mechanical keyboard, the next decision you’ll need to make is ‘What colour?’ For there isn’t just one type of mechanical keyboard, oh no. There are several, and each one comes with its own type of switch that makes them ever so slightly different to type on. Most keyboards tend to use Cherry’s MX switches. Other manufacturers occasionally use their own switches or other types that come in different colours, but you’ll mostly find keyboards that broadly fall into the following three Cherry categories: red, blue, and brown. To see how they work in practice, HyperX have a handy primer with animated GIFs showing each one in action, but I’ve also listed what keyboards come in what colours in our rankings above. Red: Often considered the fastest type of mechanical switch, these have a linear action and go straight up and down when you press them. As a result, these keys provide the least amount of tactile feedback compared to other switches (you might even say they provide none at all), but the wider hivemind will say these are usually the best type for playing games. Blue: The loudest of all mechanical switches, these ‘click-style’ switches are a bit slower than red ones, as they generally require a bit more force to press down before they register (although in practice it’s so tiny that it probably won’t affect your typing style whatsoever). These are generally considered the best for typing because they provide a good sense of tactile feedback, but they’re pretty good for gaming as well as long as you don’t mind the noise. Brown: For those after the ultimate in tactile feedback, brown switches are a sort of half-way house between linear and click switches. Press one of these down and you’ll feel a noticeable little ‘bump’ halfway through, giving you a bit more physical confirmation that, yes, you have indeed pressed it correctly. They’re still pretty noisy, but not quite as much as blue ones. Tagged with feature, Hardware, Keyboards, mechanical keyboards, RGB LED keyboard.